After a successful career as a NCAA All-American tennis player and coach, Dave Muldawer has been recording and performing music for the past 10 years. As a solo artist, he specializes in acoustic classic rock and alternative rock covers from the 70’s, 80’s, and 90’s, performing live over 60 times during the past year. 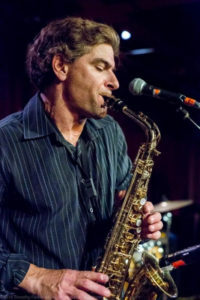 Dave also plays alto sax and is the lead singer of the popular Santa Cruz band The D’oh Bros.
*Please keep in mind that your membership is a minimum commitment of 4 quarterly shipments. If you decide to move on from our Ohana, please contact Breanna at 831.421.9380 to cancel. There is a $100 early termination fee on cancellations if you need to cancel prior to purchasing four of our quarterly installments. **Kahuna Wine Club Shipments are billed quarterly with a 30% discount on wines and 10% discount on sparkling wine. Club Shipment orders may be customized, but must meet a minimum of $130 after KWC Discount is applied. Members are notified of upcoming shipments one month in advance and given up to two weeks prior to the Club processing dates to make adjustments to orders, including address changes, credit card updates, and order changes. Order adjustments made less than two weeks prior to the Club Shipment release date will be subject to an additional $25 processing fee. © 2014 MJA Vineyards. Web Design by Sleepless Media.